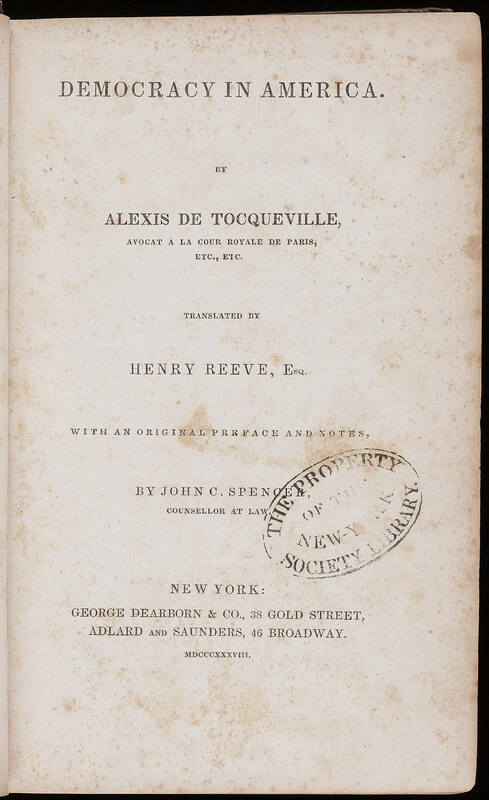 For the last two posts I have been sharing about Alexis de Tocqueville, the French aristocrat who visited the United States in 1831 and 1832 and later penned his observations in a two-volume treatise titled Democracy in America. I now want to share some of Tocqueville’s reflections on the nature of religion in the United States and the role that it played in American life. His observations on the topic are both rich and extensive, and it will take at least two posts just to hit the high points. When we enter into conversation with figures from the past, our primary goal should be to love them. This is easier said than done. Ever since the Fall, self-love has been the predominant sentiment in the human heart. This means that there is nothing natural about loving others. By nature, we love ourselves and use others. It makes little difference whether they are living or dead. I mention this now because I suspect that, for Christians interested in the American past, the temptation to use Tocqueville—to cherry-pick quotes that support our agendas—may be particularly acute. If you’re troubled by our culture’s increasing commitment to a secular public square, Democracy in America offers an arsenal of powerful counter-arguments. Democracies need religion, Tocqueville emphasized over and over. That’s a truth we like to hear. But Tocqueville also said things about American Christianity in its supposed heyday that should trouble us—observations that we need to hear more than want to hear. We should purpose in advance to listen to both. We don’t have to agree with Tocqueville completely, but we do need to hear him out. Christian love constrains us to listen respectfully. Christian humility admonishes us to be teachable. “The religious atmosphere of the country was the first thing that struck me on arrival in the United States,” Tocqueville reflected in Democracy in America. No wonder. 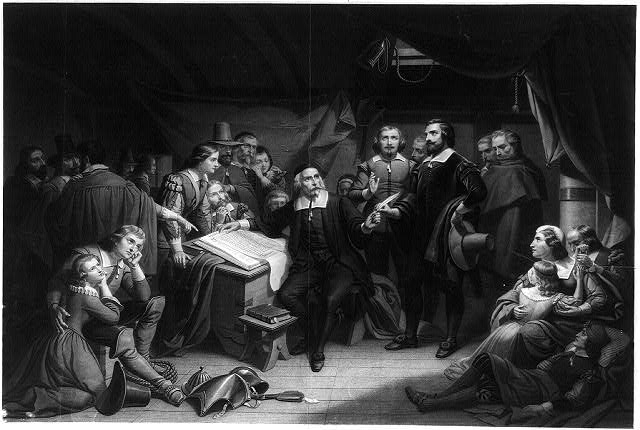 The Frenchman arrived in the U. S. during the height of the Second Great Awakening, a period of recurring religious revivals that rippled back and forth across the country from the late 1790s through at least the 1830s. It was during the Second Great Awakening that an essentially unchurched America gave way to a predominantly Christian country. The proportion of Americans who were formal church members roughly tripled, and Christianity influenced American culture more than ever before. When a man or party suffers an injustice in the United States, to whom can he turn? To public opinion? That is what forms the majority. To the legislative body? It represents the majority and obeys it blindly. To the executive power? It is appointed by the majority and serves as its passive instrument. To the police? They are nothing but the majority under arms. A jury? The jury is the majority with the right to pronounce judgment . . .
And yet—and this is the crucial observation that so intrigued Tocqueville—the majority did not fully utilize its power to oppress the minority. Acknowledging the enormous exception of southern slavery, Tocqueville believed that, on the whole, in America the potential for injustice vastly exceeded its presence. To use Tocqueville’s terminology, in America the majority was omnipotent but not tyrannical. Why was this, Tocqueville wondered? To the degree that justice prevailed in the United States, Tocqueville concluded that this had less to do with Americans’ form of government than with their values, what he sometimes referred to as their “habits of the heart.” In terms of political significance, the most significant habits of the heart were “habits of restraint” grounded in Christian doctrine. In the United States “Christianity reigns without obstacles,” he observed. As a result, “the human spirit never sees an unlimited field before itself; . . . from time to time it feels that it must halt before insurmountable barriers.” When one believes in God, not everything is permitted. Nearly two centuries later, the question still confronts us. Back in a bit with more. I recently had the opportunity to speak to a group of senior math majors at Wheaton College about what it means to study history Christianly. I had fifteen minutes to tackle this small, simple question (ha! ), and so rather than drench them with a flood of details, I focused on two basic goals: to challenge their understanding of what history is and present them with a radically different alternative. Toward that end I began by inviting them to do a word association with me. “What words immediately come into your minds when I say the word history?” I asked them. Their responses were almost exactly what I had expected. First came wars, followed by kings, dates, facts, memorization, and then finally the descriptor that most were probably thinking but were too polite to share: boring. Welcome to my world. I wince at such responses but I can’t say that I blame them. As a culture, we tend to think of history as simply a body of knowledge to be mastered—sort of like multiplication tables, but with less practical value. At the bottom of such a view is a fundamental misunderstanding that equates history with the past. And so I proceeded to introduce these young mathematicians to C. S. Lewis’s marvelous comparison of history to a thundering, deafening waterfall of “billions upon billions” of individual human moments, “any one of them too complex to grasp in its entirety, and the aggregate beyond imagination.” Once we really feel the weight of this truth, it becomes obvious that history can’t be equivalent to the past. Alright, then what is it? History is not the past but the effort to make sense of that vast, almost infinite expanse—to analyze, interpret, and partially reconstruct it. We undertake this project not for the sake of the past itself, but rather to see the present more clearly and meet the future more wisely. One of the ways that we do this, as I mentioned last time, is to think of history as a “conversation with the dead,” an opportunity to enter into dialogue with those who have gone before us as part of a quest for a heart of wisdom. 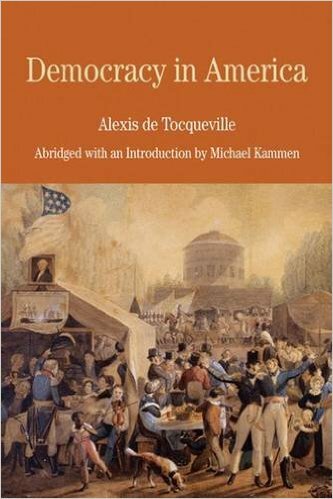 One of the conversation partners I want my students to get to know is Alexis de Tocqueville, the French aristocrat who visited the United States in 1831 and 1832 and recorded his reflections in a two-volume classic, Democracy in America. As promised, in this post I want to give you a taste of what Tocqueville had to say about how the democratic culture that he observed was shaping the politics and society of the young United States. Democracy in America is a long, complicated, multifaceted work, and I don’t pretend for a moment to offer a comprehensive assessment. What follows is like those tiny samples at Costco—it’s meant to whet your appetite, not fill you up. This trait directly affected the quality of American politicians, and not for the better, in Tocqueville’s opinion. To make his point, the Frenchman developed an elaborate metaphor drawn from the world of European monarchy. If the people reigned supreme in the United States, Tocqueville reasoned, then they are analogous to the monarch. Politicians, in turn, he likened to “courtiers,” the term for aristocrats who lived at the king’s court, dined at the king’s table, and told the king whatever he wanted to hear. Admittedly, American politicians did not address the electorate by saying “Sire” or “Your Majesty,” Tocqueville conceded, but that was a “distinction without a difference. They are forever talking of the natural intelligence of the people whom they serve,” and by “sacrificing their opinions they prostitute themselves.” Understanding that it is political suicide to tell the people that what they want they cannot have, these American “courtiers,” in Tocqueville’s view, fawned and flattered shamelessly. Adulation will always follow power, he reasoned. If the number of truly distinguished statesmen had plummeted since the time of the American founding—and Tocqueville believed that it had—the ever increasing power of the majority was to blame. A majority taken collectively is only an individual, whose opinions, and frequently whose interests, are opposed to those of another individual, who is styled a minority. If it be admitted that a man possessing absolute power may misuse that power by wronging his adversaries, why should not a majority be liable to the same reproach? Men do not change their characters by uniting with one another, nor does their patience in the presence of obstacles increase with their strength. In my last post, which seems like a year ago, I wrote about the populist strands I see pervading the current Illinois state gubernatorial race and how they reminded me of a famous political contest from nearly two centuries ago, the presidential election of 1828. In that election, the supporters of General Andrew Jackson championed their candidate as a man of the people, in contrast to his supposedly elitist rival, incumbent John Quincy Adams. By 1828 Jackson was one of the wealthiest men in America (the fruit of savvy land speculation and effective political networking), but you would never know that by listening to the claims of his supporters. To “Jacksonians” (who would soon begin to use the label Democrat), Jackson was a man of the people whose humble roots, limited education, and minimal political experience all were strong arguments in his favor. Adams, in contrast, suffered from the liabilities of a prominent family name, a Harvard degree, and a lifetime of political service. As Jackson’s campaign managers put it, the contest came down to a choice between “Adams, who can write,” and “Jackson, who can fight.” The people chose the fighter in a landslide. I concluded the post by promising to discuss the implications of that choice, and now I am back to make good on that pledge. To be honest, I am still working through my own thinking on the question, and I don’t pretend to have any profound pronouncements to make. Instead, I would rather direct you to an assessment of American politics in the age of Andrew Jackson that is still one of the most insightful commentaries on the relationship of liberty, equality, and religion that I know of. The work I have in mind is Alexis de Tocqueville’s classic Democracy in America. Democracy in America is one of those books that is cited much more than read. We’ve almost all heard of it. It rates a paragraph or two in most U. S. history textbooks, and A.P. instructors may occasionally assign a tiny portion of it. But apart from political science majors and American government teachers, it is a rare American who knows much of anything about this important work. We’re the poorer because of it. So as a historian, one of the things I want to be doing regularly is entering into conversation with the best that has been thought and said in the past. And as a history teacher, one of the things I need to be doing regularly is introducing my students to the conversation partners that they most need to meet. Alexis de Tocqueville is one of those conversation partners. He has much to say to us, if we are willing to listen. “Time converts more people than reason,” Thomas Paine observed at the beginning of Common Sense. What he meant was that most of us tend to accept as “natural” the way that the world is when we come into it. When Paine sounded the call for independence in 1776, he was writing to Americans who had lived their entire lives under monarchy. They accepted that form of government, Paine was convinced, less because of its merits than because it was all that they had ever known. When we see any human institution or custom as natural or inevitable, it’s really hard for us to think about it deeply. Why agonize over something that can’t be any other way than it is? Part of what Paine did in Common Sense was to take his readers back to the origins of the English monarchy in an effort to help them see it—really see it—so they might think critically about it. This is potentially one of history’s greatest benefits. It allows us to go back in time to a moment when institutions and customs that we now take for granted were new and strange and even controversial, when the matter wasn’t settled, when the outcome wasn’t inevitable. And by listening in on the conversation from that time, what we once saw as utterly familiar can begin to seem strange to us, and this, in turn, can both inspire and enable us to think about it. This is true, as Paine recognized, because we give what is familiar the benefit of the doubt; the strange we feel forced to explain. This is part of why C. S. Lewis so strongly advocated the reading of old books. In an assertion that first seems counter-intuitive, Lewis argued that old books have the potential to help us understand the present better than works from our own day. On the whole, contemporary works reinforce our blind spots rather than exposing them, and the truths that they teach us are often “truths which we half knew already.” By comparison, old books have a greater capacity to challenge and change us. Where they are wrong, they are unlikely to harm us. Where we are blind, however, they may open our eyes. Revisiting a classic work like Democracy in America is one way “to keep the clean sea breeze of the centuries blowing through our minds,” in Lewis’s memorable phrase. Tocqueville was writing at a time when democracy was still a novel experiment in the world. Its future was uncertain. Its impact was unclear. 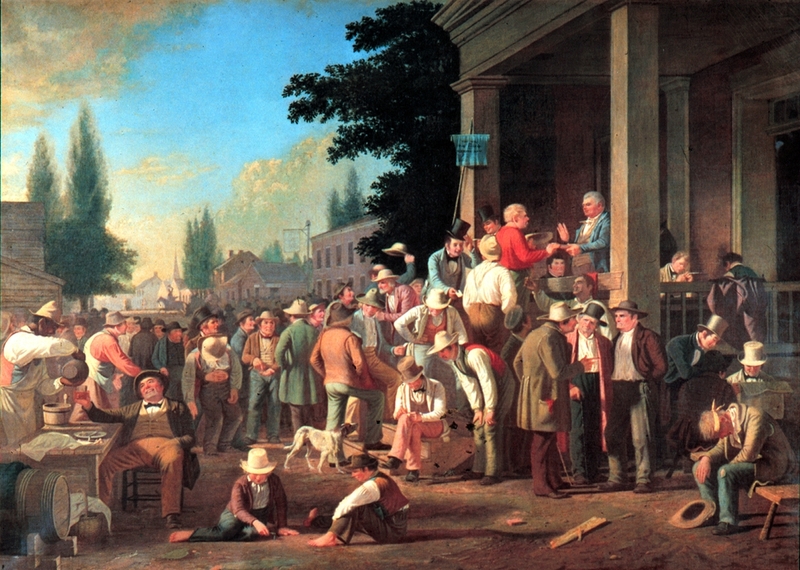 And although he was writing about democracy in a very specific historical context (he arrived in the United States at the midpoint of Andrew Jackson’s first term as president), his investigation was driven by questions as relevant today as they were in the 1830s: How do you reconcile the rights of individuals with the needs of society? How do you maximize individual freedom while promoting stability and order? How do you simultaneously advance liberty and ensure justice, and what role does religious belief play in that delicate balancing act? If you do decide to read the book for yourself, may I share a word of exhortation and a little bit of context before you get started? First the exhortation: as much as possible, take seriously the idea of entering into a conversation with the author. Hospitality is a historical as well as a Christian virtue. As you would with any other guest that you invite into your home, purpose to treat Tocqueville considerately. Invite him to speak. Listen to him respectfully. Don’t respond defensively, indeed, don’t respond at all until you have thought carefully about what he has to say. Alexis de Tocqueville was the third son of an aristocratic French family that traced its noble lineage at least as far back as the Norman conquest of England in 1066. 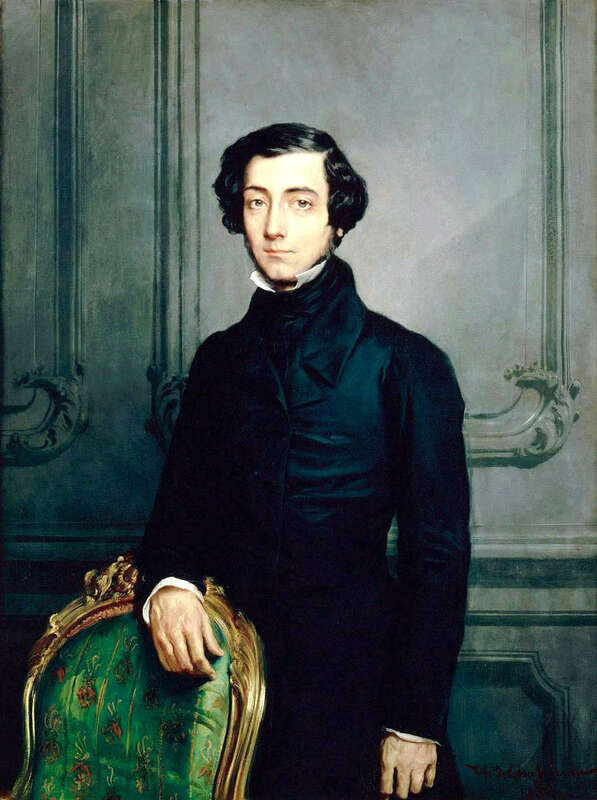 In 1831, at the age of twenty-six, Tocqueville was commissioned by the French government, in tandem with another young aristocratic Frenchman, Gustave de Beaumont, to travel to the United States to investigate and report on the American penitentiary system. Tocqueville and Beaumont arrived in the U. S. in May of 1831, and for the next nine months they explored the country, traveling by stagecoach, steamboat, and on horseback from the urban northeast to the edge of the western frontier and back again. Upon returning to France, they filed their report on penitentiaries and then Tocqueville began to pen a much broader set of reflections on American politics, American institutions, American culture, and the American people. The first volume of Democracy in America was published in 1835, and volume II followed five years later. The first American translation of volume I appeared in 1838. I came into the world at the end of a long revolution, which after having destroyed the former state of things had created nothing lasting in his place. Aristocracy was already dead when I began to live, and democracy was not yet in existence. As the French Revolution of 1789 gave way to the Great Terror of 1793, Tocqueville’s grandfather went to the guillotine and his parents, then young adults, went to the dungeon and barely escaped with their lives. By the time that Tocqueville was born a dozen years later, Napoleon Bonaparte was emperor of France. The implications of these events were clear: proclaiming liberty was not the same thing as preserving it, and the establishment of political equality guaranteed neither liberty nor justice. These lessons haunted Tocqueville his whole life long, and Democracy in America cannot be understood apart from them. You should know that though Tocqueville was an aristocrat in temperament and lineage, he both foresaw and accepted that democracy represented the wave of the future. He hoped to refine the trend, not resist it. If he was critical of what he saw in America–and he often was–he was on the whole a sympathetic critic. He was fascinated with the United States because he believed it to be the freest nation in the world, and he always hoped that his native France could learn from the American example.